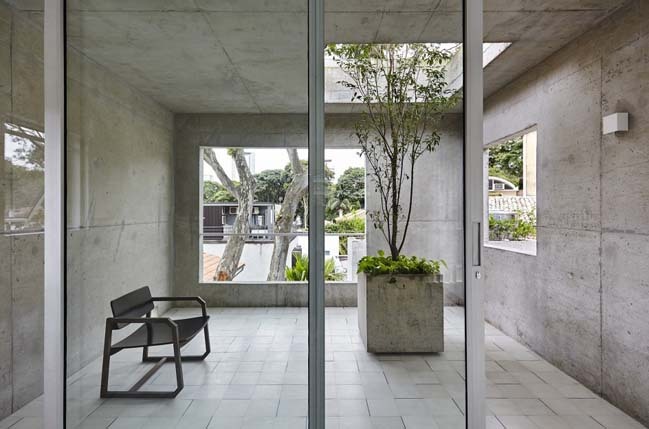 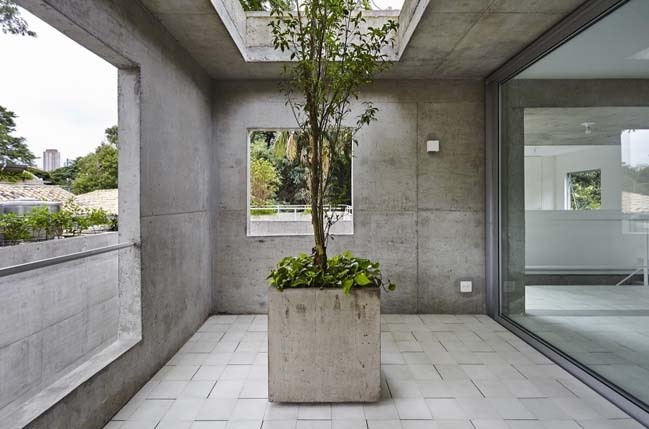 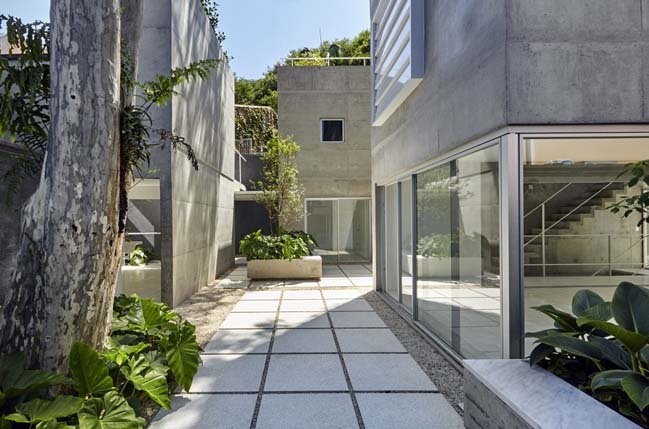 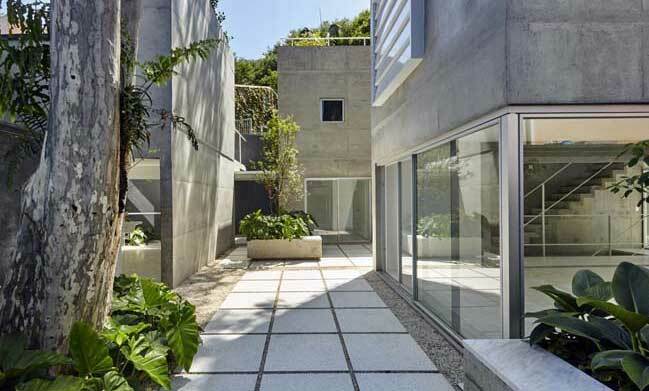 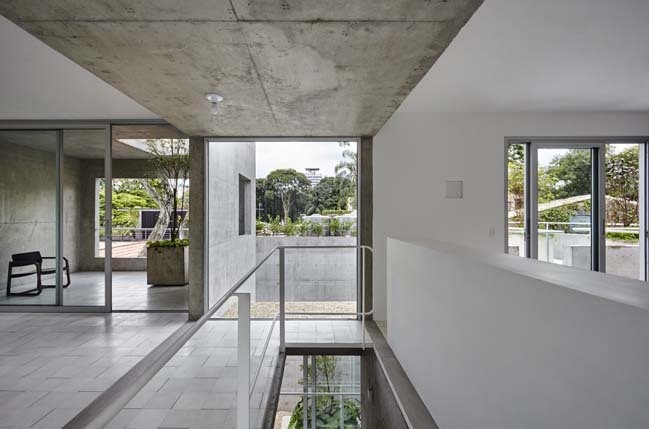 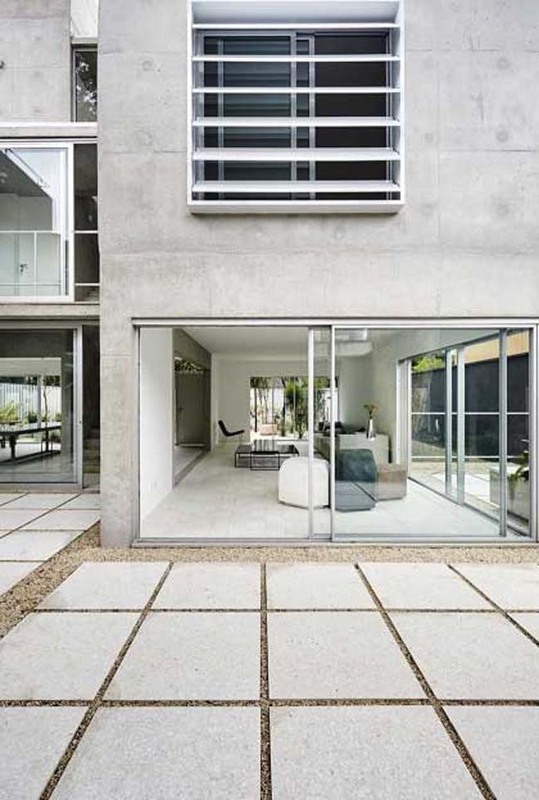 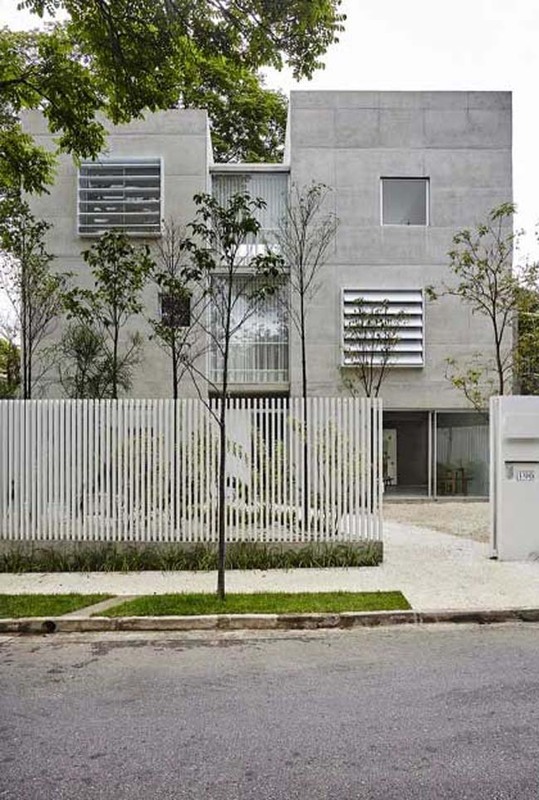 BN House is a concrete house in Sao Paulo that consists of 4 levels of different heights with many terraces and gardens that are linked via a series of large glass frames. 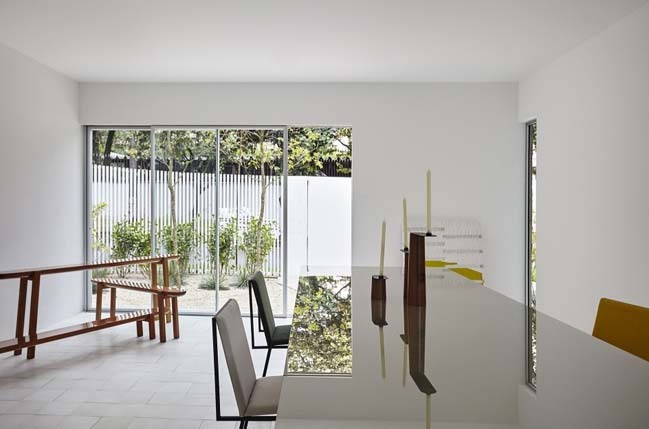 Follow the architects: On the ground floor, the common areas of the house all possess a strong relationship to the landscaped areas surrounding them. 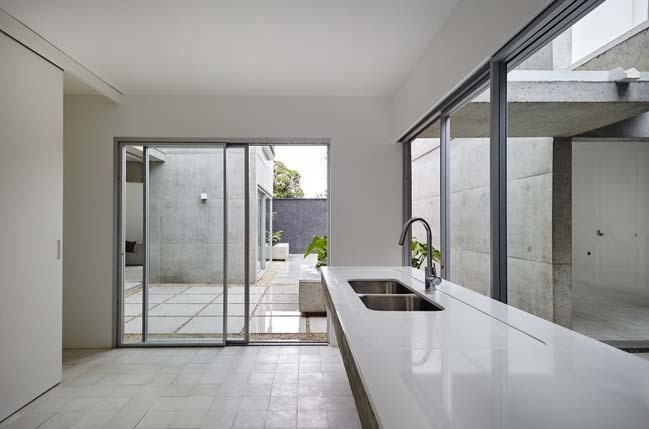 The internal design of the kitchen, living room and dining area all respond in different ways to the external floor treatments and range of plants, forming diverse spatial combinations. 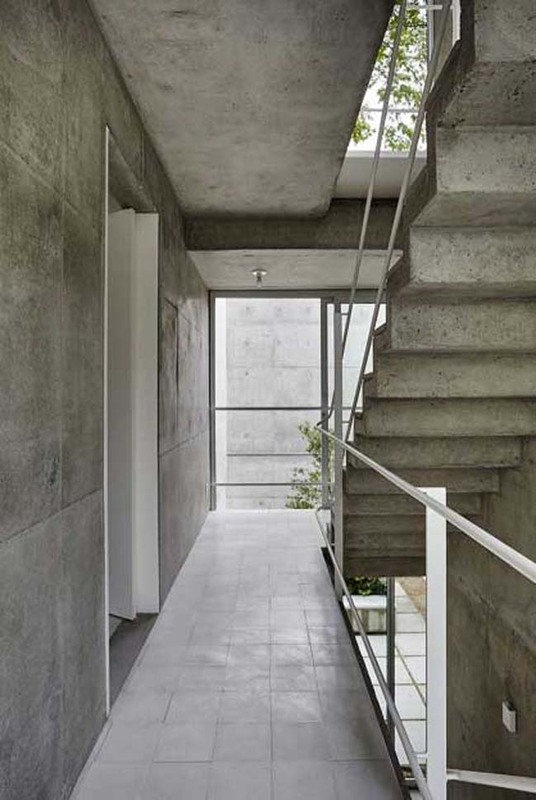 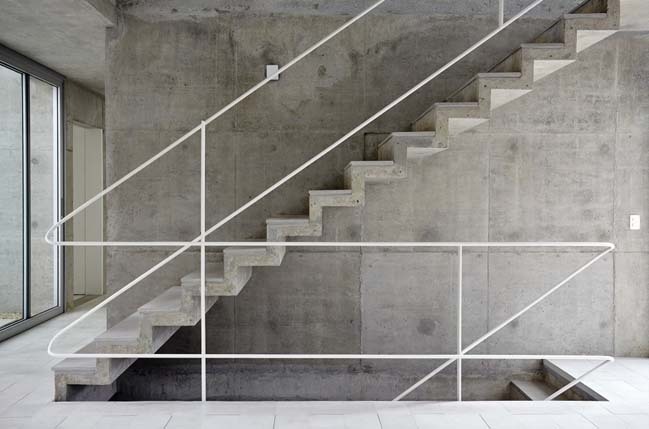 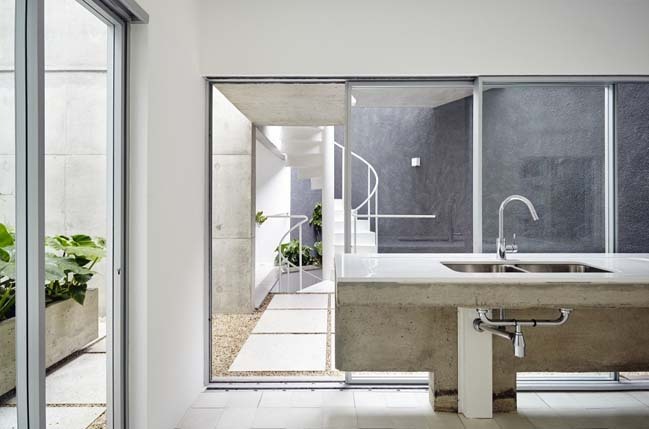 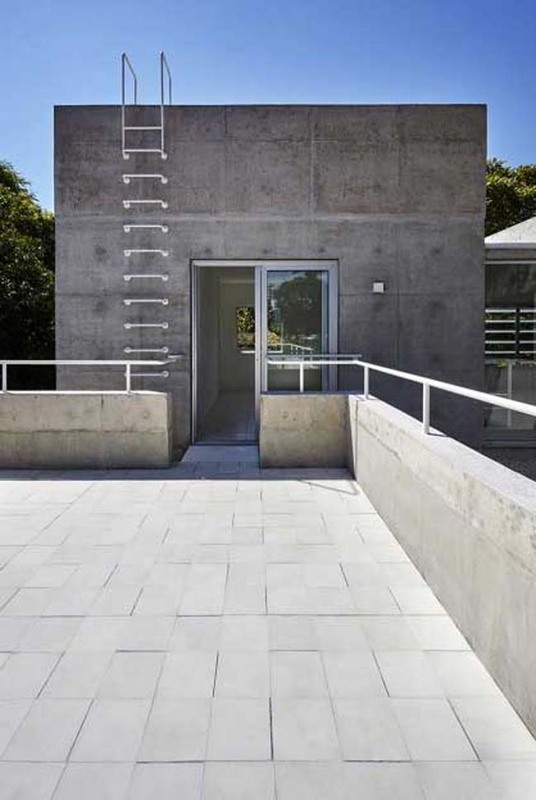 A series of distinctive staircases allow vertical circulation, one uses the same raw concrete as the main structure and is cantilevered off it; whilst a second spiral stair is executed in plate steel and leads up to a second floor terrace. 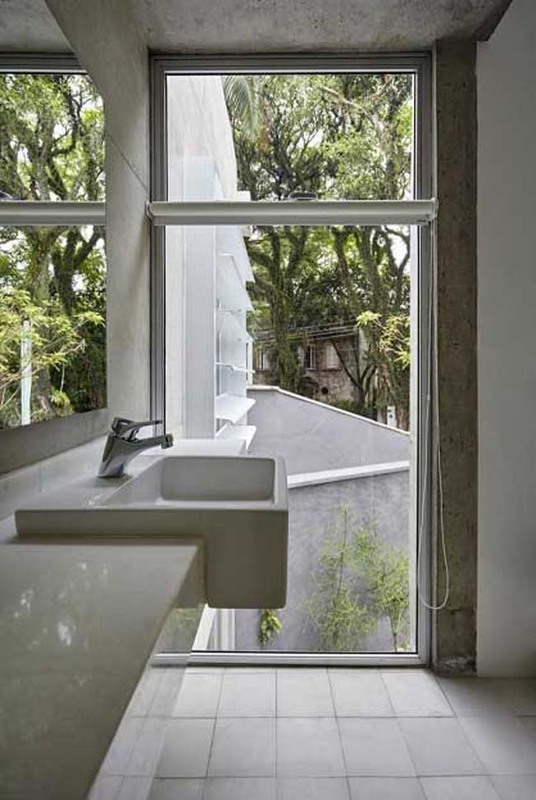 The first floor contains three generous en-suite bedrooms. 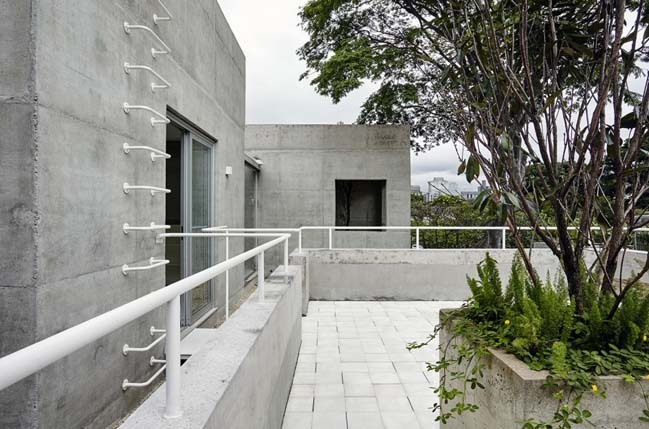 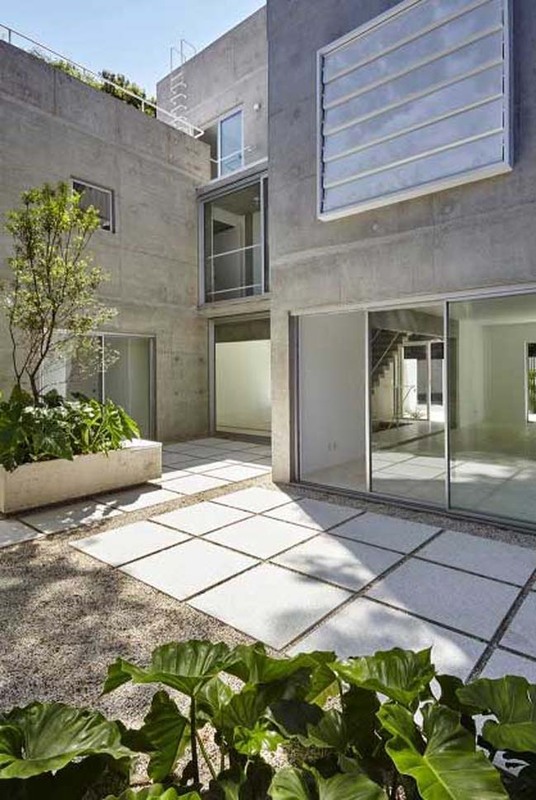 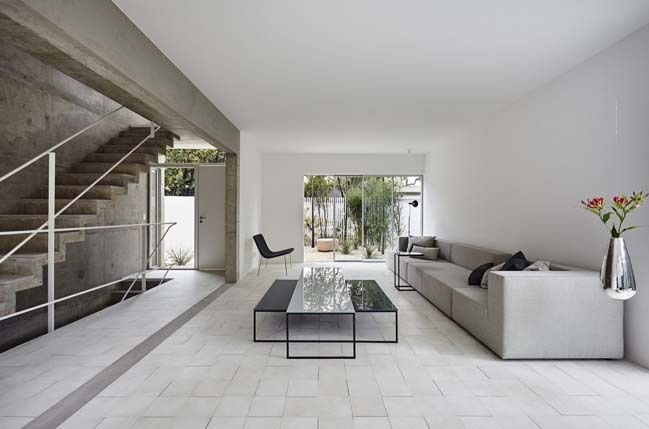 On the upper floor, an office and additional living space adjoin a terrace. 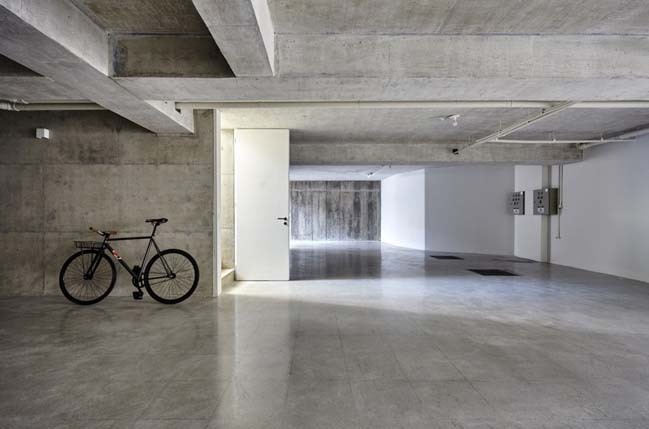 The garage is in the basement and accessed via a ramp.